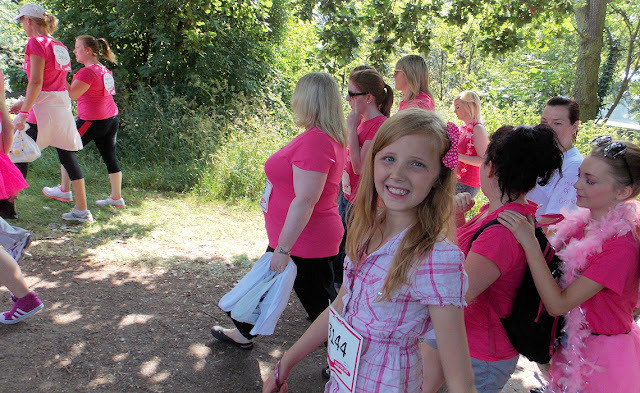 This weekend me and Chloe completed the Race for Life. 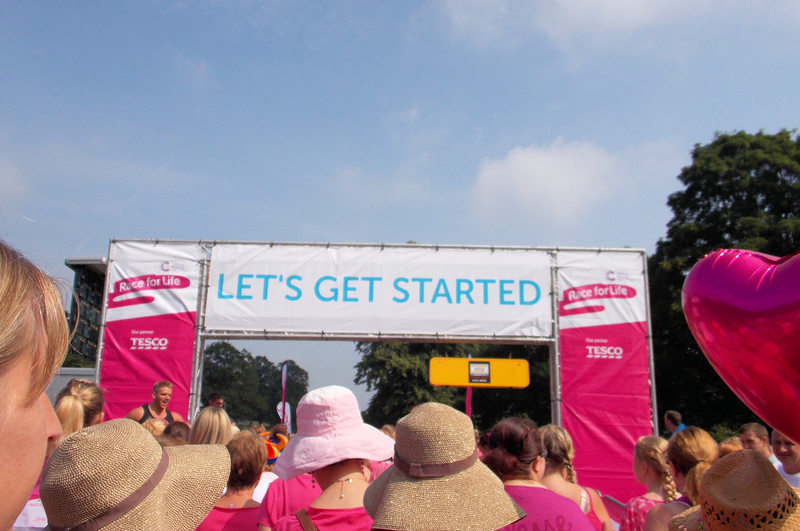 It is the first time I have attended a Race for Life event, and I am so very pleased I did, it was an inspiring day for so many reasons. We arrived at the venue and I was abit overwhelmed with the sheer number of people taking part, thousands upon thousands of women had turned out to show their support against this disease that touches so, so many people. 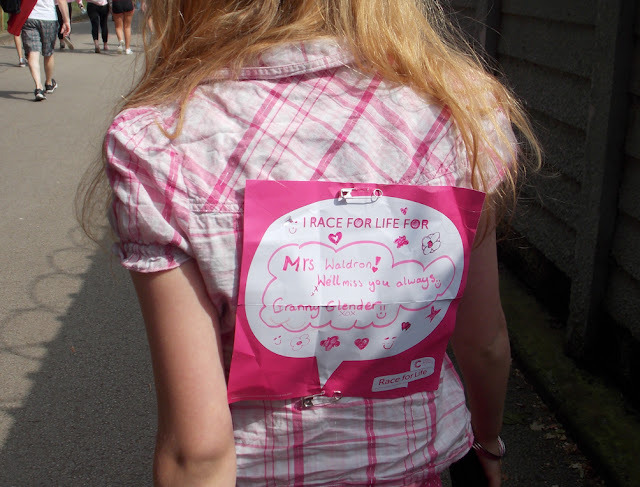 Every person there with the 'I race for' sign on their back, so many people touched by cancer, so many people showing that they want to help find a cure. 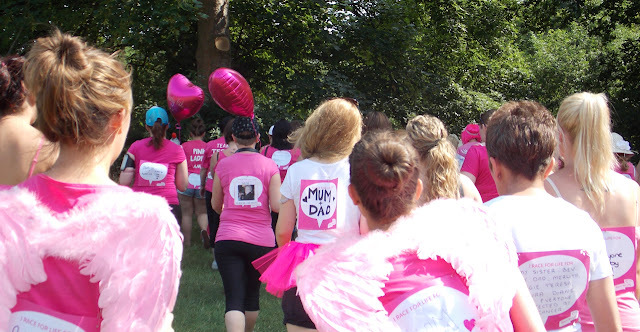 I wrote last month about how my Mother in Law sadly passed away from this disease and how I would be racing in her memory, along with my friend Carole, who was also taken by this disease. 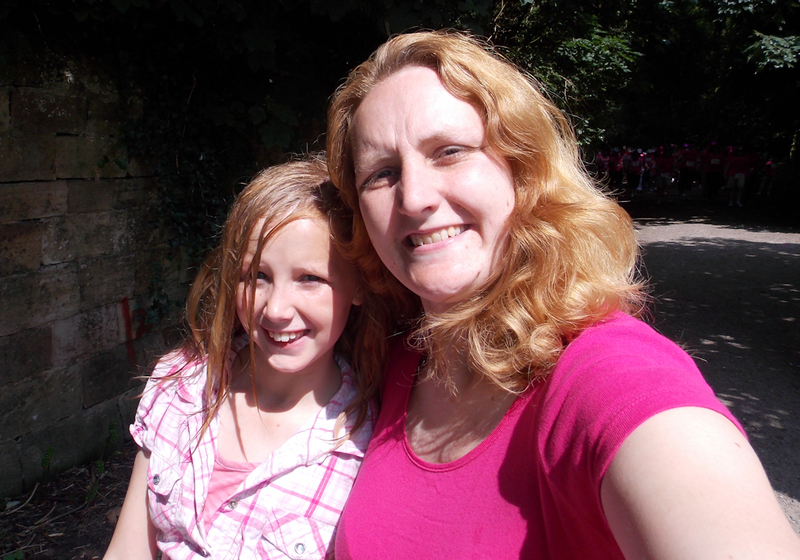 Then a few days later we received news from Chloes school that a much respected, and loved teaching assistant had extremely suddenly passed away due to this horrible disease. So Chloe decided she would race in her memory. Every single sign told a personal story, a unique reason for bringing that person there that day, the sheer volumes of messages proved one thing, cancer is unforgiving and can affect anyone, the signs were for Mums, Dads, Brothers and Sisters, Uncles and Aunts, Grandparents, Sons and Daughters, friends and simply everyone. A stark reminder that cancer really does touch too many peoples lives. 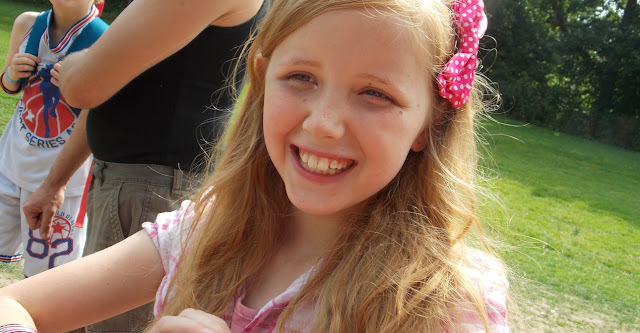 The event was so well organised, from receiving the information pack in the post before the event, the pack that came to me was full of information about the very important work cancer research is doing, Chloes pack was geared at a younger audience and was again full of information about cancer research, wristbands and posters for supporters too really were great and really got Chloe excited to be doing something positive in the wake of the tragedy of her Teachers death. 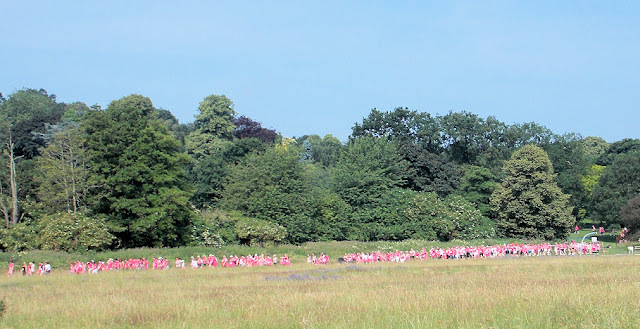 On the day the atmosphere was brilliant, everyone turned out wearing pink and in high spirits, we choose to join the walkers because it was so very hot. So we had to wait for the runners to set off before we could follow, the heat of course meant it was more important than ever to ensure suncream was worn and obviously we had taken along water to ensure we stayed hydrated, but we were not quite sure how far 5k was having not really done very much training, so the walkers suited us fine. We walked and jogged our way around the track, the sea of pink both filling the way in front and behind us. 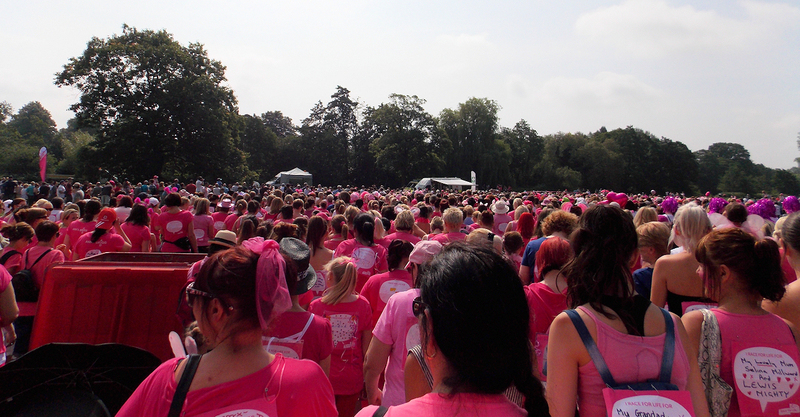 I am not sure I have ever been anywhere with so many people all there showing their support to the same cause. 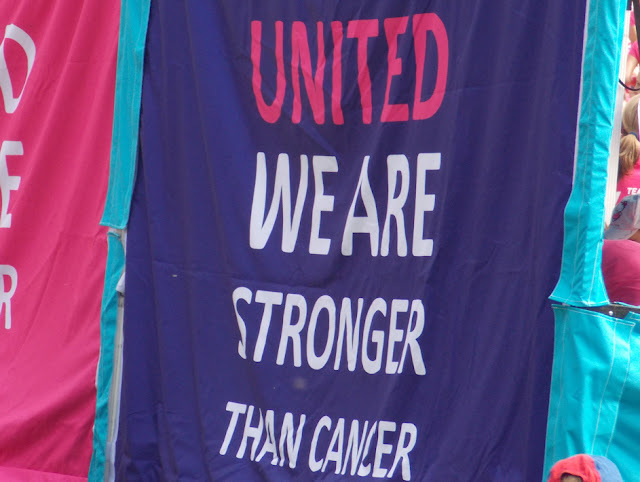 As we approached the finish line the feeling of pride at being part of something so big was ever present coupled with the emotion of the enormity and reality of cancer. Everyone however was very upbeat and the atmosphere was definitely a happy one, once we crossed the finish line we were handed our medals and a bottle of water from the Aqua Pura team. 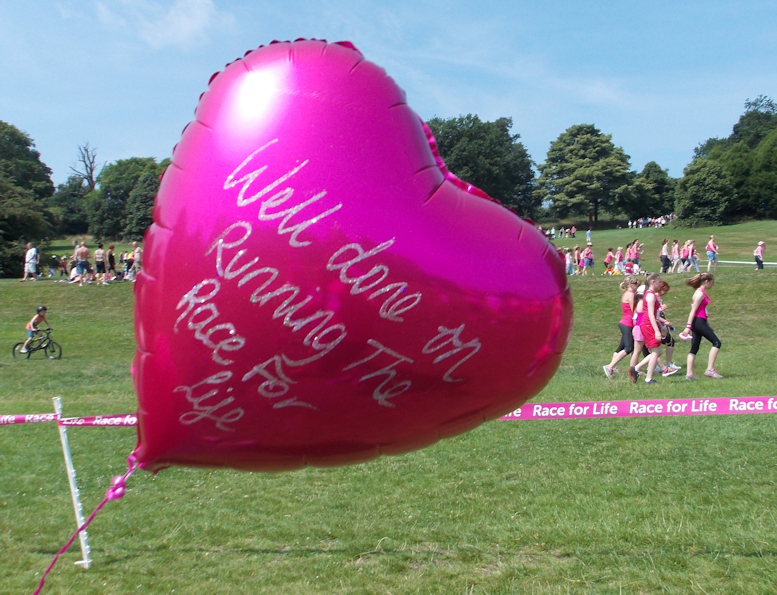 Who are official race for life sponsors, they did a fantastic job providing the free water at the end of the race to everyone who took part, they also sponsored me £100 to my Just Giving page Which gave me the boost I needed to get up and show my support and go along. Of course with the heatwave the UK is experiencing at the moment it was even more important to ensure everyone kept hydrated in the sun on the day, but even when you are not racing or spending time out in the sun it is extremely important to ensure everyone stays happy healthy and hydrated by making sure you and your family drink enough water each day, which surprisingly most people just don't do. 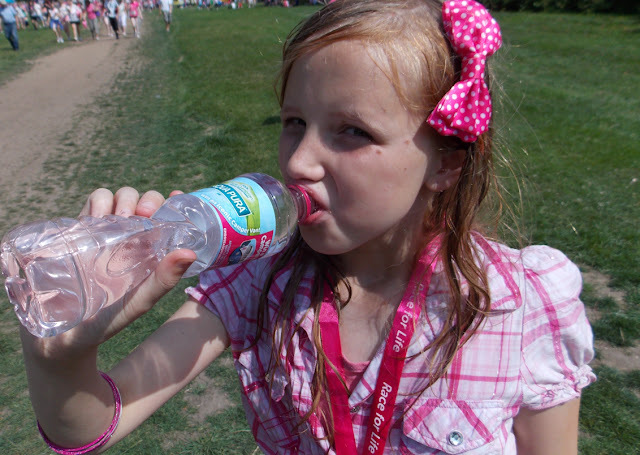 The Aqua Pura Website has a lot of useful information about how to help keep hydrated and healthy with some great facts too, like a staggering 78% of people are severely dehydrated, 37% of people mistake dehydration as hunger and 60% of our body is made up of water. Take a look over at the Aqua Pura website for other tips on having an active lifestyle with your family. 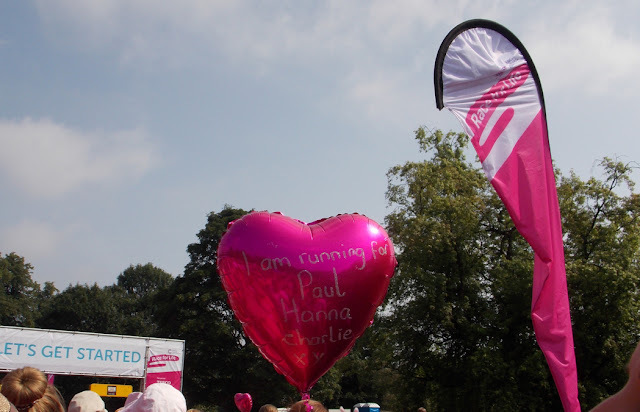 I really did enjoy running the race for life, I hope to do it again next year and I may just join the runners then, it is a great way to remember those you've lost to cancer, and do something positive for those still fighting. Not to mention the health benefits in the event itself and the enormous sense of achievement when you complete it. All money donated via my just giving page goes straight to cancer research and will be used to improve lives of those who are currently fighting and those who may have to in the future. Well done! 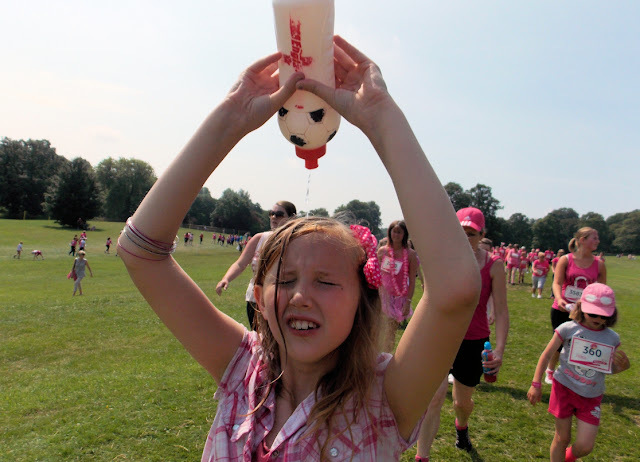 It really is an amazing event and I know just how tough it is to do it in the heat! 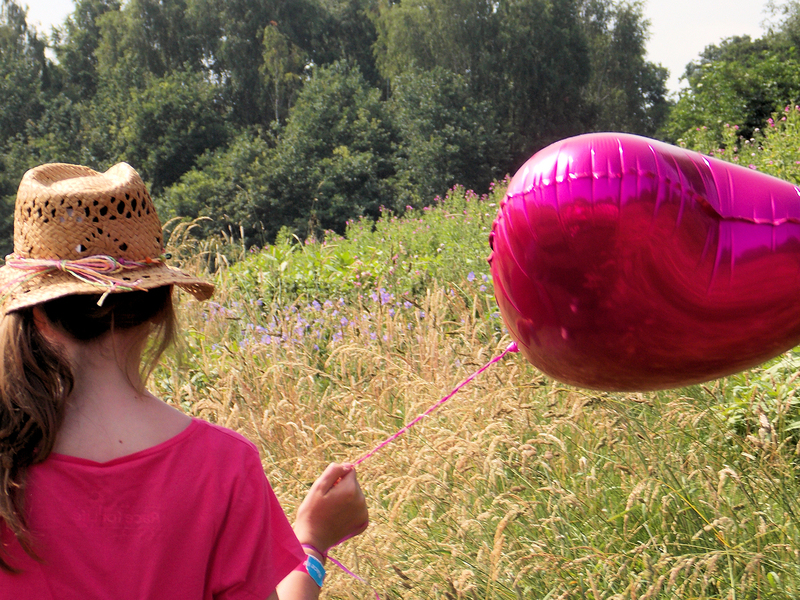 Thank you - yes the weather this year is so different to normal, but best not complain! Thank you Wagg.. did Dalton or any of his gang go along to a race?